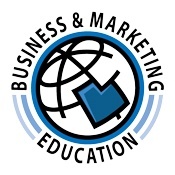 Business and Marketing Education prepares students for employment and/or continuing education opportunities through technical instruction in the classroom, experiential education in the laboratory, student internships, and through leadership and personal development by participating in student leadership organizations. In the U.S., there are nearly 28 million small businesses, employing more than 47 million people. As technology in business advances and the complexity of business increases, so does the need for savvy business professionals. Throughout the state of Utah, business professionals are affecting and making significant contributions to the economic development of the state. In fact, professional and business services makeup nearly 13 percent of Utah’s employment base. For more information on careers in Business and Marketing, please visit UtahFutures. Future Business Leaders of America is an extracurricular student organization that provides students with opportunities for leadership, community involvement, business partnerships, and competition with other students in business related events. FBLA’s mission is to bring business and education together in a positive working relationship through innovative leadership and career development programs. DECA is an extracurricular student organization that prepares emerging leaders and entrepreneurs for careers in marketing, finance, hospitality and management. As an integral part of marketing education, DECA activities provide authentic, experiential learning methods to prepare members for college and careers.